This fragment depicts the Roman General, Caius Marious, mounted on his white horse receiving the pleas of the Cimbri woman. 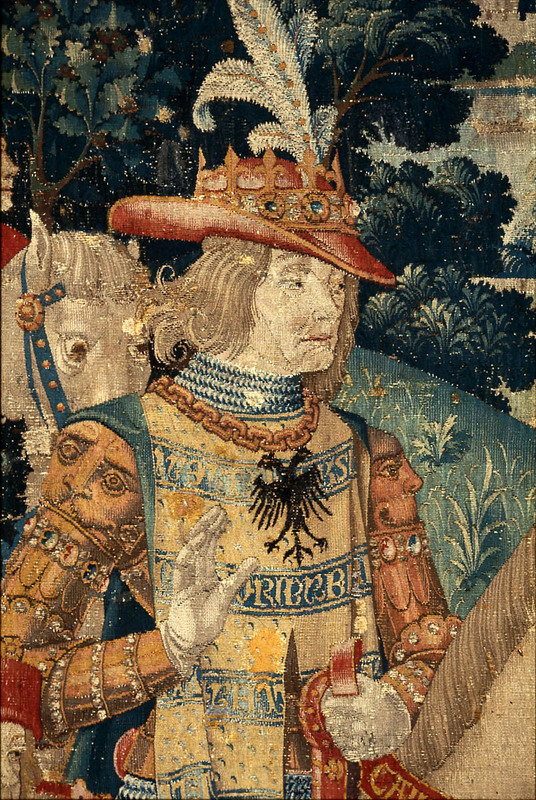 The words CAIUS MARIUS LIBERATOR URBIS are woven in his bridle rein. Two heraldic shields supported by birds in upper part. 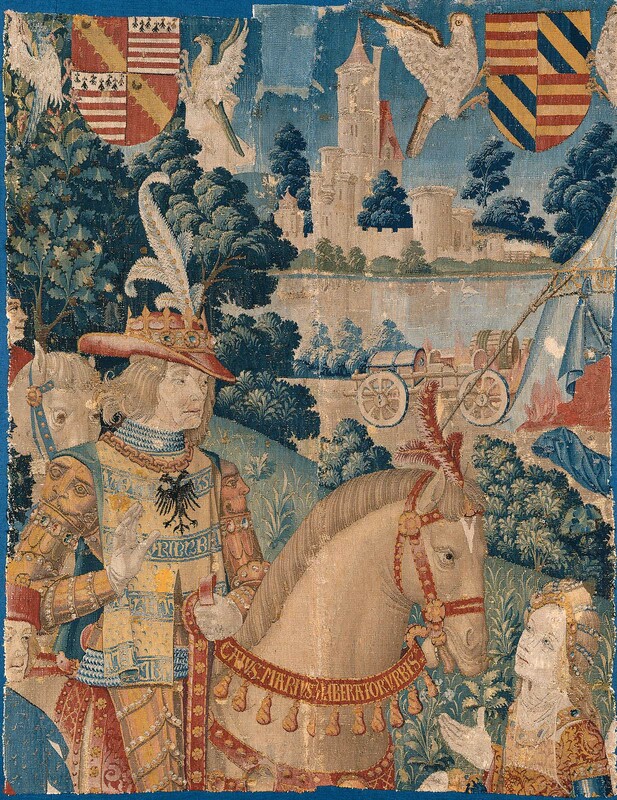 Part of seventh tapestry of set bearing arms of Ferry de Clugny.